10th class Biology Question Bank is prepared as per CCE Method in Telugu Medium.This book was prepared in simple sentences for better learning of below average Students in Telugu Medium. This booklet helps AP and Telangana Students also.Highlights of this Bank is, it has covered all textual Questions with answers with additional questions with answers.Diagrammes are attached from text book. 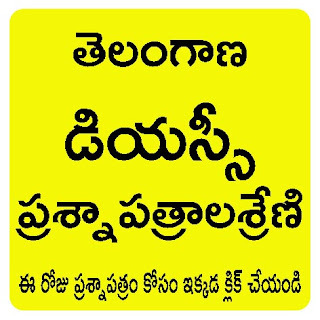 This Question Bank is prepared by Sri SVVRS NAGENDRA SARMA,SA(BS) from East Godavari.